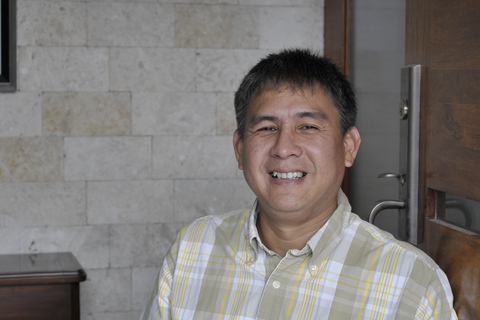 For this entrepreneur, the best business opportunities are not always in Metro Manila. He made it big in Bacolod, thanks to his right choice of enterprise paired with his hard work and determination. <>Negros Occidental, the ‘Sugar Bowl of the Philippines,’ is best known for sugarcane and festivals. Just recently, the Department of Science and Technology (DOST) declared Bacolod City as a center of excellence for information technology and business process management operations. Clearly, the capital is becoming one of the country’s fastest improving business districts and a haven for startup entrepreneurs, among them is 45-year old Andrew de Venecia. Born and raised in the city, de Venecia has always been aware of the opportunities available in the region. A graduate of the University of St. La Salle (Agri-business Management), he worked as a warehouse manager and a sales promotion supervisor for 10 years before becoming a Pizza Pedrico’s franchisee in 2010. Being more knowledgeable in the agricultural field, it came as a surprise why he had chosen to become a franchisee of a pizza cart. “It’s because I love the product. Pizza is a universal food and it’s great for business. Also, the franchise itself is easy to manage and the capital is not too big. I love the product, the taste, the quality, the marketing support, everything. 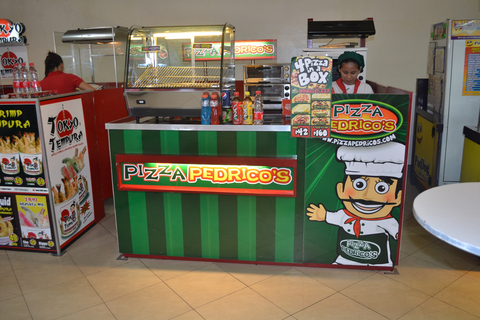 All the advantages I’m looking for, I found in Pizza Pedrico’s,” he said. Competition wise, the business is doing great in the city. “Our pricing scheme is very affordable for low and high income consumers. We have high consumer awareness and great brand recall. Our crews are well trained, very friendly, and very competent,” de Venecia asserted. He also praised the great marketing support provided by the company to help his franchised store become a success. Seeing the franchise grow and continue to be profitable four years after it was put up can already be considered as a huge success for de Venecia. “I’m very happy seeing my family and friends enjoy eating our pizza. It warms my heart whenever I hear my customers – suki or first-timers – rave about the taste and quality of our product,” de Venecia shared. His franchised business has never been spared from challenges, though. De Venecia disclosed that his store was once a prey to budol-budol gang. It also had to deal with several cases of theft in the past. “We experienced lots of hardship along the way. When we’re putting up the franchise, we had a hard time getting a business capital. You have to please the customers as well as employees. You need to have cash, inventory, and labor management. Thankfully we were able to get back on track,” he recalled. However, de Venecia hasn’t forgotten his passion for agricultural work. He still attends to his sugarcane and rice farming business every once in a while. He’s also a part-time contractor for assembling food cart/kiosk for clients in Bacolod. “For aspiring entrepreneurs who are planning to venture into the franchising industry, being a hands-on franchisee can ensure franchisors that you’re doing a good job in handling their brand name,” said de Venecia. He also reminded that choosing the company and product that suits you is essential for your success. “Choose the best company and the product that you’re going to franchise. Follow the rules and policies of that company. Support its marketing plan and establish good accounting and monitoring system. Be patient and always stay positive. You need hard work, and of course prayers,” he shared. Do you want to be a successful entrepreneur in your area just like de Venecia? Consider buying a franchise of Pizza Pedrico’s. Check out its online directory listing here.